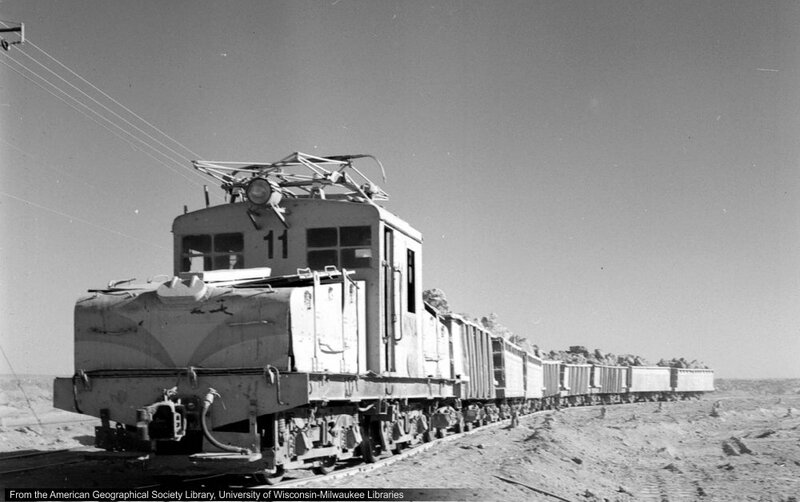 Original de Eugene Harris (1937 a 1969): Chile, train cars at nitrate mine in Oficina María Elena. Lugar: Tren con carros cerca oficina María Elena, Chile. (©) American Geographical Society Library, University of Wisconsin-Milwaukee Libraries; Digital ID: sr018394.